October Music: Scary Tunes, Drumming, Singing, Poetry, and More! Jamie also provides hammered dulcimer lessons. 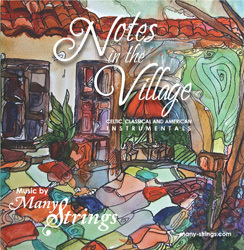 Please contact her at chris@many-strings.com for this wonderful musical experience. Chris offers private guitar and keyboard lessons. Please contact him at chris@many-strings.com. Animals in Classical and Folk Music: Music Appreciation and Sing A-Long, 4S Ranch Library, 12 noon on Jan. 26. Free! The Evolution of Rock n/Roll, Jan. 30 at 11 am, Grossmont OASIS Learning Center. Celtic Slow Jam: Mondays at 9:30, Grossmont Wellness Center, Feb. 2- March 18, no class 2/18. Beatles Love and Life Sing A-Long: All Together Now! : Feb. 14th at 1pm, Grossmont Learning Center. The Music of Presidents Washington and Lincoln: A Live Show, Feb. 21 at 11am, Grossmont Learning Center, Grossmont Mall. Many-Strings Celtic Notes Concert: Braille Institute, March 1st. Free! 10:30 am. 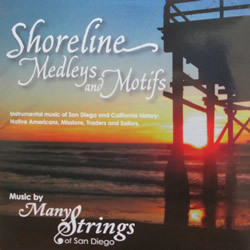 Many-Strings Celtic Notes Concert at Hooley's Irish pub, Grossmont Center, Match 11th at 12 noon, Hooleys Grossmont Mall. Free! Live Show: The Music of Molly's Old Town (San Diego) Tavern, April 19 at 10:30 am at The Braille Institute, open to the general public. La Jolla, easy parking at the Institute. Music Appreciation: Renaissance Music, Jan. 8th at 2 pm. Music Appreciation: Vivaldi's Four Seasons: The Music and the Sonnet, Feb. 12, 2pm. Music Appreciation: Mozart, The Boy Wonder and His Concertos. April 12 at 2pm. Music Appreciation: The Creativity of John Williams, May 14th at 2pm. Music Appreciation: Mussorgsky's Pictures at the Exhibition, June 14 at 2pm. 600 Years of Music in 60 Minutes: The Evolution of Classical Music, May 8th at 3pm. Orchestral Music for the Movies: June 12th at 3pm. The Music of Aaron Copland: An Exceptional American Composer, July 10th at 3pm. Grofe and Gershwin: the Ultimate Collaboration, Sept. 11th at 3pm. History of California Through Music: live music performance: San Diego History Center-SDUSD's "School in the Park" program. January-June. The Music of Aaron Copland, June 9th at 1pm. The Evolution of Classical Music, September, 5th at 9am. San Diego History Through Music: A live music show: Oct. 26th at 10 am. American Folk Music and the American Military Experience, Nov. 10th at 1pm. Reading the Treble Clef for Folk Musicians and Beginners, Grossmont OASIS Wellness Center, 5/21-6/18, at 2:30 pm. The Music of John Williams, Grossmont OASIS Lecture Hall, June 21, at 1pm. OASIS Slow Jam: A Treasure Chest of Songs, June 25-Aug. 13, Grossmont OASIS Wellness Center, 2:30. Bring any string instrument or your voice! A 4th of July Music Celebration with hot dogs! OASIS Learning Center, July 3rd at 11 am. A 4th of July Music Celebration, Rancho Bernardo Library, and OASIS North County event, 5pm. Free thanks to the "Friends of the Library. History of San Diego Through Music: A live music event, July 11 at 10:30 am. at the Aqua Hedionda Lagoon. "The Roots of American Folk Music," a Many-Strings concert, hammered dulcimer and guitar. A free concert at the Mission Hills Library, thanks to the "Friends of the Library" and OASIS. July 14th at 3pm. Celebrate San Diego's Birthday with cake and a concert: San Diego History Through Music, Grossmont Learning Center, July 16 at 10 am. 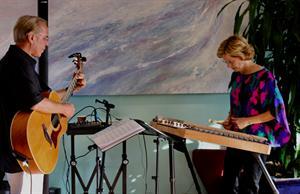 Many-Strings "Water Music" concert (hammered dulcimer and guitar), Braille Institute, private event. July 20. An OASIS event open to the public. The Roots of American Folk Music, a Many-Strings concert, hammered dulcimer and guitar, Aug. 13 at 10 am at the Grossmont OASIS Learning Center. Little Surfer Girl Meets Eleanor Rigby, A Music Appreciation Event at the Pt. Loma Library. Free thanks to the "Friends of the Library" and OASIS, on Aug. 15th at 1pm. A Treasure Chest of Songs: A live music event at the San Marcos Historical Society, Aug. 16th at 6pm. Music and Meditation at the Scripps Ranch Library, at 10 am on Aug 18. A free event thanks to "The Friends of the Library" and OASIS. The Music of Tchaikovsky, at the Grossmont Learning Center, Aug. 21 at 10 am. Celtic Slow Jam, Mondays Jan. 22-March 5th at 2:30 at the Grossmont Wellness Center. All string and folk instruments and voices are welcome. 600 Years of Fine Music in 60 Minutes: Sat. Feb. 17th at 1pm. a free music event thanks to the Friends of the Library! Celtic Notes hammered dulcimer and guitar concert: Note Schedule change: This event is now set for April 12th at 1 pm. Celtic Notes: A Many-Strings concert, at the Grossmont Center Learning Centering. Celtic/ Irish/ Scottish Sing Along: Music for Saint Patrick's Day on Wed. 14, at 1pm at the Grossmont Learning Center. I'll bring lyrics. Water Music: A Many-Strings Concert on Monday, April 30th at the Aqua Hedionda Lagoon Nature Center, at 2:30 pm. 1) Information for schools and non-profit organizations: The fee structure for these programs is very user friendly. Please contact us for a quote. 2) School assemblies for multiple classes are also available. Three 45-minute assemblies range from $100 an hour to $250 for a morning or afternoon. 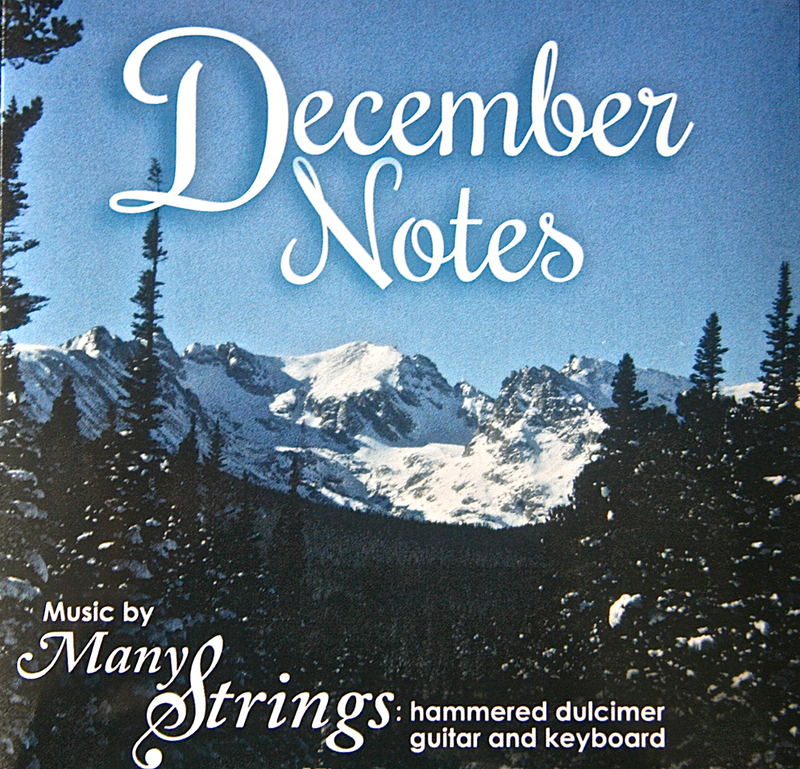 3) Lessons for the hammered dulcimer are available: $40 for 45 minute lessons. We will provide the music. Guidance will also be provided on how to tune your instrument, acquire stands, string replacement, etc. 4) Lessons for the guitar are also available: $40 for 45 minutes. We will provide the music and provide guidance on such issues as tuning, string types, using a capo, where to get your guitar repaired, etc. For teachers: we can design the perfect sequence for your classroom. Please contact us for specific price quotes and details. Click here to view or download historical document from Sam Hinton: "Singing Through American History," which contains primary source information regarding music and United States history.